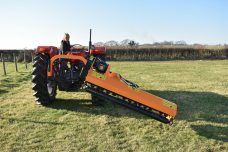 Offering all the benefits of a flail mower but with added versatility due their hydraulic system allowing the machine to be offset beyond the tractor and also to tilt vertical and downwards. This means grass verges, hedge sides and ditches can all be cut with ease but at the same time still being able to mow a field. 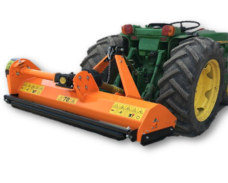 This mower is perfectly suited to farm and contract work due to it’s high build quality. Using feedback from farmers and contractors we have created the perfect addition to your farm or contracting outfit. Fully HSE compliant with various safety features makes this a popular machine. 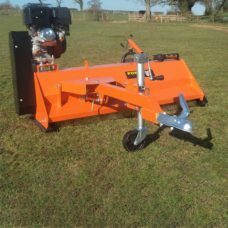 Ideal for cutting verges, ditches, fields and facing off hedges, 90 Degree Tilt up 55-degree tilt down or can cut directly behind the tractor. CAT 1. Strong up-rated gear box, gives reliability and strength. New improved hardened forged Hammers. Gearbox filled with oil. 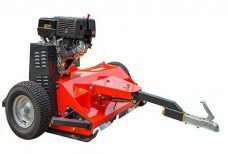 Our AGL Mowers are fabricated to high standards. The AGL range of Verge mowers are ideal for cleaning up verges and topping, with a capability to cut vertically and up to 55 degrees downwards. 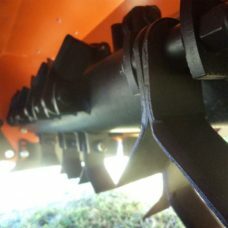 They can be used directly behind the tractor to top paddocks and fields. Ideal for the smaller tractors due to their lighter weight design than the AGF model. A truly versatile machine! Available cut sizes ranging from 1.25-1.65m. This simple little machine is designed to make your life easier, with its sturdy design, easy assess points and its ability to fill wherever makes this small machine easy to transport and maintain. 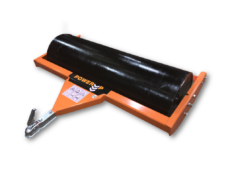 The ATV roller is designed for owners of paddocks or any grassland area. The rollers designed to repair damaged ground, this may be caused by hooves. It also pushes rocks or any stones under the surface for a even finish and safer topping. The mower also helps firm the soil around the roots of the grass, improving its contact for better growth. Perfect for quad bikes, small tractors or cars. The ATV120 flail mower was designed with land owners, farmers and contractors in mind. 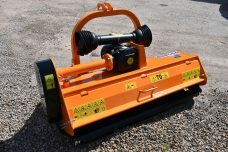 Designed to be used when power take off machines aren’t suitable or available it is suited to a variety of grassland jobs such as, cutting thistles, nettles, grass and such like. Paying particular attention to ease of maintenance to ensure longevity, easy grease bearing locations and a simple to use belt tensioning system ensures regular maintenance is as easy as possible. A quality machine at a realistic price. The ATV150 flail mower was designed with land owners, farmers and contractors in mind. 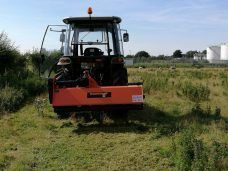 Designed to be used when power take off machines aren’t suitable or available it is suited to a variety of grassland jobs such as, cutting thistles, nettles, grass and such like. Paying particular attention to ease of maintenance to ensure longevity, easy grease bearing locations and a simple to use belt tensioning system ensures regular maintenance is as easy as possible. A quality machine at a realistic price. Every Machine purchased this month will get a free wheel! 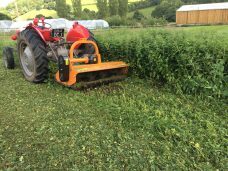 The EF125 is ideal for cutting grass, for maintaining orchards, nursery, paddocks and for verge cutting, Suitable for small tractors ,robust and easy to maintain making this mower a popular choice for the compact/small tractor owner on a budget. 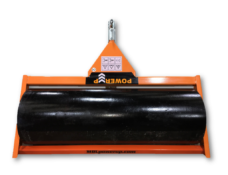 Light enough to use with a compact but robust enough to do the job, this versiltile machine is a great alternative to a cumbersum conventional topper. A compact rear mounted grass mulcher, for tractors from 25 to 30 HP. It is suited for mulching light grass on green areas, parks and sport courts. These sturdy little mowers are one of most popular products, replacing the traditional topper mowers. An added advantage is they pick up any lying grass so leave a better finish, also mulching the grass so regrowth rate and self fertilisation is much better than conventional toppers. Using an offset position makes this mower user friendly and easy to get close up to fence lines and hedge rows. Perfect for farmers, ground keepers and small contractors. A great value mower that will last. These sturdy little mowers are one of most popular products, replacing the traditional topper mowers. An added advantage is they pick up any lying grass so leave a better finish, also mulching the grass so regrowth rate and self fertilisation is much better than conventional toppers. Offering the side shift makes this mower user friendly and easy to get close up to fence lines and hedge rows. Perfect for farmers, ground keepers and small contractors. These sturdy little mowers are one of most popular products, replacing the traditional topper mowers. 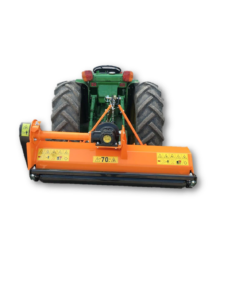 Using an offset position makes this mower user friendly and easy to get close up to fence lines and hedge rows. Perfect for farmers, ground keepers and small contractors. A great value mower that will last. This model will suit tractors from 30 – 55hp This Model has been designed to to shred corn, straw, pruning waste and other crops in general, weeds, gardens parks etc. 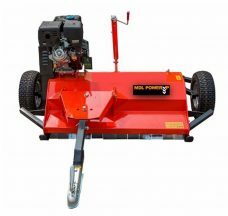 with it rear open back its great for cutting longer grass and much easier for maintenance such as changing the flails.